I started using linux mint today. I installed MATLAB R2018a and created an icon for it in the development menu. The problem is that the program icon does not appear and when I click to start the program by the shortcut created in the development tab the program only shows the home screen and then closes. My question is: is there any way to remove this icon I created and create another one that works? I sent the image 1 to illustrate my problem. Last edited by Moem on Thu Oct 18, 2018 7:29 am, edited 1 time in total. Reason: Adding the [rimg] tags (for remote images) with links to images makes your image appear directly inside the post. If you Right Click on the Menu in the bottom left hand corner, then select Configure you will open up the configuration of the Start Menu. I'm at work on my Windows work computer so I can't remember exactly the options but there should be a menu editor in there somewhere. When you go into the menu editor you will be able to select or deselect programs that you want to appear or not appear in the menu, just either deselect the Development section as a whole or deselect the program you want. I assume you went this way to add it to the menu in the first place. I do find adding icons to launchers in the menu a bit hit and miss, seems that they have to be in the correct format and in the correct but there seems to be quite a few folders for them to go in. I'm having trouble with two that don't appear either. Although, it's worth noting that I've never had a menu icon appear straightaway, I always have to restart the computer or Cinnamon before it appears. You might want to post the command you've used to launch the program, both the icon and the command for launching the program shouldn't be too hard to fix. 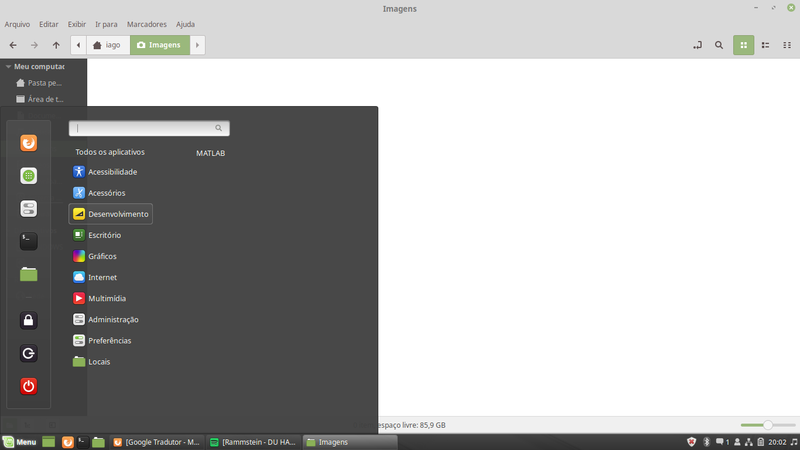 Linux Mint 19.0 (Cinnamon) 64bit.